Recently I was asked to design the T-shirts for this year's annual TASOK reunion. Having been born in the Congo with very close ties to The American School of Kinshasa, and it being the second school I attended in my very young life (after *Les Petite Chatons*, a french preschool), it felt like a certain bit of continuity to take on the project. 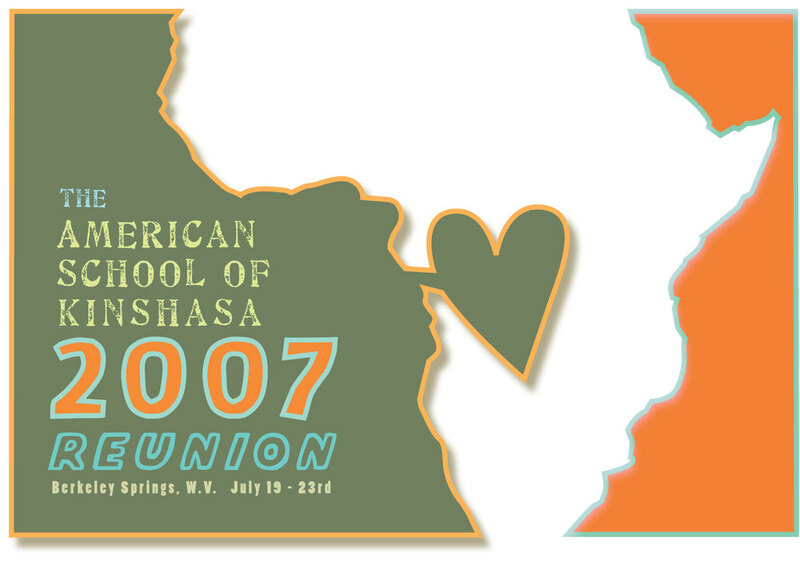 This year's reunion will be taking place in West Virginia, and my brother who went to high school at TASOK will be attending. The concept I was playing with has to do with an old TASOK t-shirt that my mother owned. The slogan on that shirt was "Educational Excellence in the Heart of Darkness", and I wanted to connect the 'heart of darkness' theme with the intense love and devotion many of the former students and teachers have for this school. I know that the TASOK reunions are continuing strong, even for some who have long since returned from Africa. This year's reunion t-shirts can be seen and bought at my *cafepress* store. View this design on a T-shirt *here*.